For many proposals, Quirky posts the rendered images before the objects are even made. 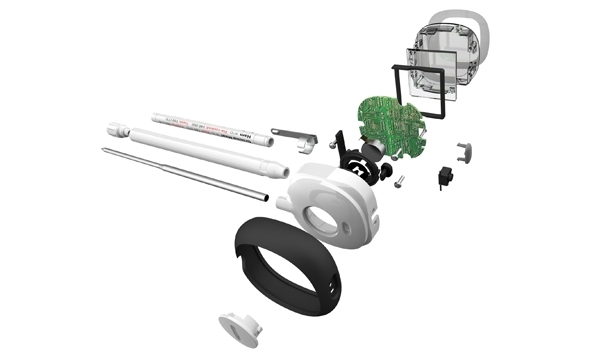 Jacobsen and his team employ a design application called KeyShot by software developer Luxion, considered a pioneer in the new generation of automated rendering tools. Once you get past the fact that the images of some of Quirky’s recent projects like the Snow Dozer ice scraper and Ripple sink strainer are not photographs, you would think that the smooth-talking, studio-lit product shots must have taken days to perfect. The speed of the processing that keeps Quirky staff in their a high-paced schedule and allows for more numerous and varied product shots. Jacobsen can rotate the object within the studio environment in real time to find the most dramatic highlights and shadows. 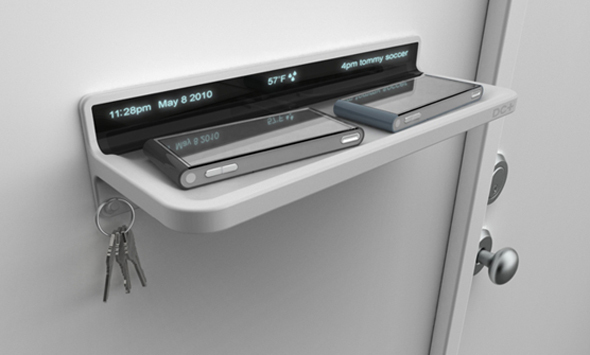 Rendering used to be an afterthought, a task after design and before physical prototyping. As the technology has become more interactive, designers are looking at product components in a photo-real environment early and often. Now consumers are, too. See more Quirky products at www.quirky.com. 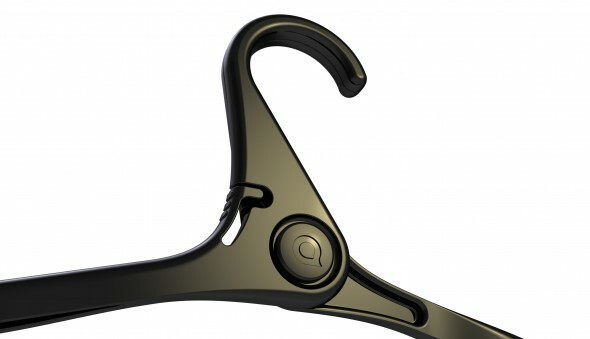 Find out more about advanced product rendering at www.keyshot.com. 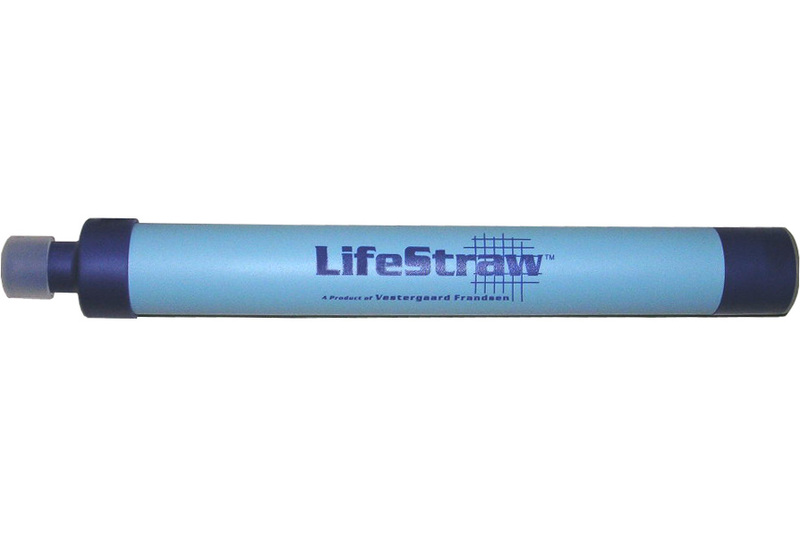 The tube in question is called, LifeStraw®, produced by the Vestergaard Frandsen Group, a Swiss textile firm which has for years supplied developing countries with anti-malaria netting. Although the 10-inch-long polystyrene tube seems modest in its construction, the problem LifeStraw sets out to tackle is of monumental scale. Sipping through a LifeStraw makes contaminated surface water drinkable. “At any given moment, about half of the world’s poor are suffering from water-related diseases, of which over 6,000 – mainly children – die each day by consuming unsafe drinking water,” says company CEO Mikkel Vestergaard Frandsen. Today, 1.1 billion people are without access to safe drinking water. Diarrhoeal diseases affect the world’s HIV-infected populace (numbered at 33 million) especially, ranking as one of the leading cause of death among HIV-infected children. 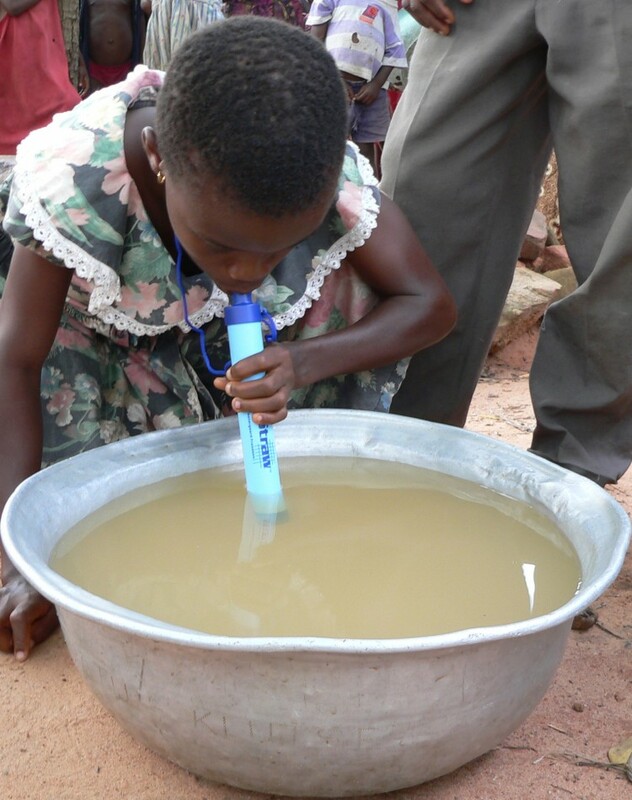 LifeStraw may also be significant for another reason. One of the eight Millennium Development Goals set by the UN is to halve the number the people without sustainable access to safe drinking water by 2015. A simple and inexpensive product — rather than bureaucratic outlay of aid — is now poised to achieve this objective. This raises the question: Can products of designers, rather than the policies of bureaucrats, alleviate the worst of the world’s conditions? According to Roelie Bottema, the designer at Vestergaard Frandsen who modeled the LifeStraw, the idea originated nearly a decade ago, when world-aid personnel from the Carter Center assigned to travel in Sudan and Ghana to fight Dracunculiasis — also known as Guinea Worm Disease — which was particularly endemic to these regions. The simplest method was to build a filter into a straw-like construction. The guinea-worm straw inspired the idea of a super-straw, equipped with a combination of polymer-based purification filters that would protect against a full range of pathogens. In the final design, each replaceable LifeStraw filter purifies about a year’s supply of drinking water for one adult, up to 700 liters. The LifeStraw filters kills 99.999% of waterborne bacteria, eliminates 98.7% of waterborne viruses, and removes all particles over 15 microns. The idea of travel factors greatly into the proper framing of the water purification problem. Village drinking water often has safeguards already – boiling through cooking, chlorination, or filtering at the well source. Also, residents naturally develop some degree of immunity to the microbe content in their local supply. The biggest risk for infection comes when villagers travel outside their localities for work or trade. Personal, portable, and cheap, LifeStraw ensures protection against unsafe water anywhere. Worn on a cord as a necklace, the durable, lightweight product provides even small children with a safeguard against waterborne diseases. The bulk of the research and development behind the invention took place in a laboratory. The University of North Carolina School of Public Health performed the large battery of tests for a wide range of filtering methods and media. Bottema crafted the injection-molded plastic design in a 3D surface modeler called Rhinoceros, a software used by industrial designers to give consumer goods their distinctive curvatures. Rather than aesthetics, the focus of LifeStraw modeling was the parsimony of construction costs. Another product making headlines for developing-world innovation is Plumpy’nut, invented by a nutritionist in the French firm Nutriset. Extreme food scarcity threatens the youngest the most. In Niger, for example, more than a quarter of children die from malnutrition before their fifth birthday. Plumpy’nut is a simple protein-rich peanut paste fortified with other nutrients, which has been administered through Doctors Without Borders. Four-week treatments of foil packets of the product have been miraculous in reversing even the most severe symptoms of malnutrition. Just as the design of LifeStraw addresses the real situation of villagers’ mobility with respect to water sources, Plumpy’nut satisfies the famine situation, at least better than the previous remedy, powdered milk formulas. Plumpy’nut takes up less space and costs less than powered milk. While prepared milk goes bad, Plumpy’nut has a shelf life of two years. The product can also be manufactured locally with ingredients common to much of the developing world. Perhaps the most important improvement is the access to the relief. Fortified milk-based treatment required sanitary preparation by professionals at a feeding center on a daily basis, resulting in long lines and full hospital beds. The full four-week Plumpy’nut regimen can be given to mothers, who feed it twice daily to their children at home. Framing the most dire of humane crises as a design problem — rather than a political one — may be the most effective way that industrialized nations can aid less fortunate countries. For innovative designers and manufacturers, it can as simple as considering a new, overlooked market – consisting of about one billion people. Former World Bank economist William Easterly wrote in this 2006 book (White Man’s Burden: Why the West’s Efforts to Aid the Rest Have Done So Much Ill and So Little Good) of the ironic example that millions of children all over the West unfailingly find their own copy of the latest Harry Potter novel at their local bookstore on the day of its release, while cartons of donated medicine sit in warehouses far away from the dying children of the developing world who need it. The difference, he writes, is that Western aid, although generous, is not tied to mechanisms of the market. There is no effective link matching resources to needs, nor any accountability between good intentions and beneficial results. Easterly describes two mentalities to helping poor countries, the Planner and the Seeker. Planner thinking, abstract and political, is a macroeconomic and lawyerly approach, involving governments, banks, corporations and bureaucracies. The Planner approach has dominated in West’s interventionist attempts throughout the 20th century. In broad terms, Planner aid has failed to trickle down to the needy in time to save them, and its large-scale projects frequently misread the cultural or economic realities on the ground, leading to incongruities inside an already unfortuante state of affairs. Instead of focusing on macro-level projects to re-make developing nations in the West’s image, Seekers look for simple, inexpensive solutions that have proven immediate benefits at an individual level. The idea of well-designed products as a way to improve lives in the developing world fits well within Easterly’s definition of Seeker-type programs. A common element in many such community-based programs ties beneficial supplies to the local economy. The goods cost a token amount to prevent hoarding. A shopkeeper can make a small profit as an incentive to re-order supplies. Incentives in product-driven solutions exist too for designers and manufacturers of the developed world, if they tune their ingenuity to the basic needs of a billion-person market. Vestergaard Frandsen and Nutriset are for-profit companies, which in typical entrepreneurial style, shoulders the risk of the product’s success or failure and supplies the upfront costs for the product’s R&D and manufacture. NGOs are in effect altruistic wholesalers, who instead of marking up the price, subsidize it with donations to fit into local economies. If last century’s charity passed through the hands of politicians and planners, perhaps a system of aid in the new century will revolve around products. This may indicate a trend to greater reliance on the private sector than governments, and it may also change the way Westerners give donations. As recent tsunami and hurricane disasters have shown, many in West are eager to give charitably, yet where and how the aid is spent is anybody’s guess. A more precise method of giving would address the specific means, not just a vague intent. Like stockholders backing a commercial product they perceive to have the most chance of market success, charitable donators could support the most effective solution. Rather than aid siphoning through corrupt or inefficient bureaucratic systems, monies devoted towards a product like LifeStraw or Plumpy’nut ensure that maximum benefits reach the individuals in need. The Vestergaard Frandsen Group is an international company founded in Denmark in 1957. The company specializes in complex emergency response and disease control textiles, with clients all over the world. With headquarters in Switzerland and branch offices in Denmark, India, Ghana, Nigeria, Vietnam, Kenya, USA and UAE, and licensed production in India, Vietnam and Thailand, the Vestergaard Frandsen Group is able to meet complex emergency needs at a very short notice. Over the years, Vestergaard Frandsen has worked closely with most non-governmental organizations, UN agencies, as well as ministries of health in various countries. Vestergaard Frandsen takes pride in its superior technological and quality standards, innovative products and constantly works on new product development as complex emergencies require. To find out more about the LifeStraw product, or to make a donation to organizations distributing the device, please visit: www.lifestraw.com.